Another Sweet Dangerous Man Collaboration - Modist Brewing Co.
🐝🍯🔥New Beers🔥🍯🐝 Dropping this weekend! We teamed up with Dangerous Man to create two new beers that are equal parts awesome and unique. 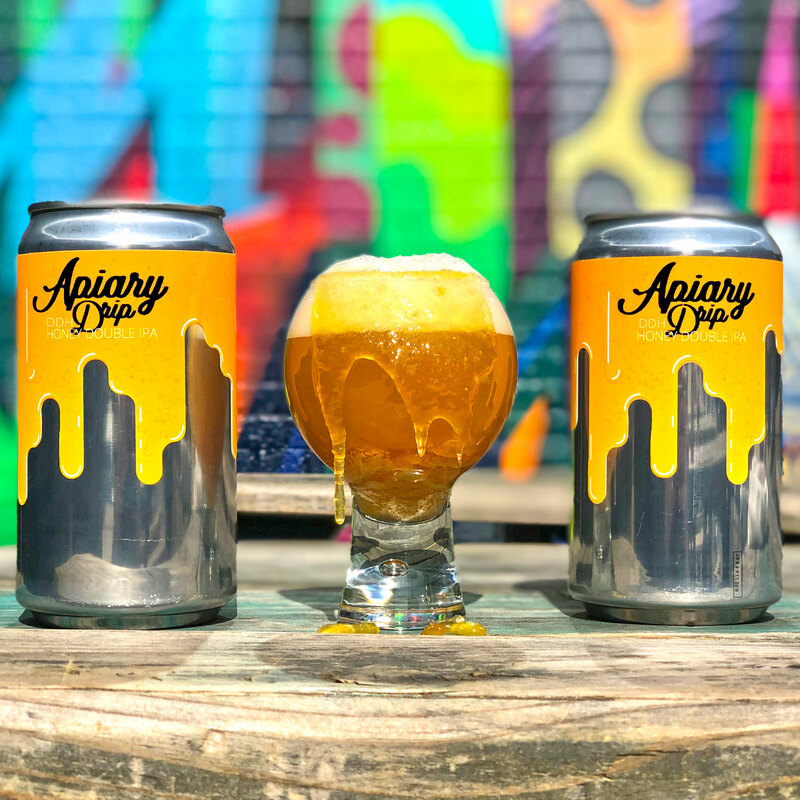 Ours, Apiary Drip, is a Double Dry Hopped Honey IPA made from 45% local honey from Ames Farm and dry-hopped with Simcoe, Sabro, Strata, and Cryo Simco and Strata. Juicy notes of pineapple, honey, grapefruit, and guava. Comes in at 8.4% ABV, and we’ve got 80 crowlers available for this weekend. They’ll go quick. Dangerous Man’s version, Apiary Drop, is a Double Dry-Hopped Triple IPA that weighs in at a hefty 10% ABV with 120Lbs of Ames Farm honey. BOTH are dropping on Saturday, April 6th at our respective taprooms. Come try both and get your healthy dose of honey for the weekend.